Thank you for joining the Early Childhood Coalition Lobby Day! It’s important for lawmakers to hear from you, their constituents, about the impact of early childhood programs and services. The resources on this page will give you more information about the investments we’re advocating for, guide you through the process of drafting your personal story to share with legislators, and let you know what to expect from our day at the capitol. 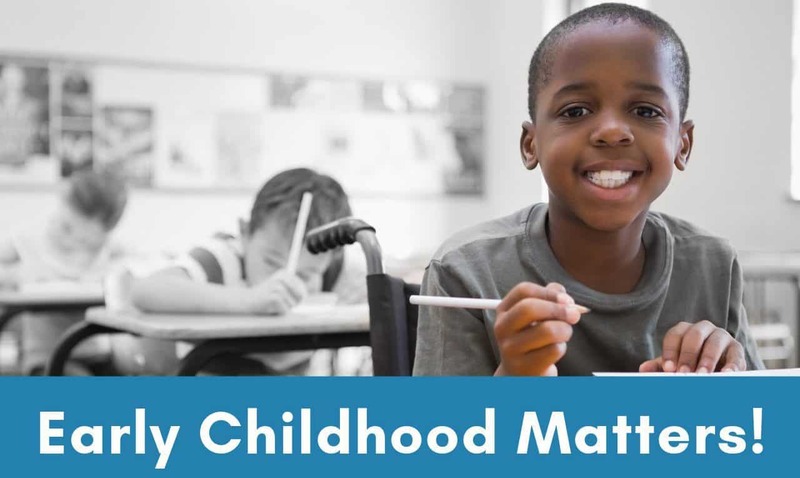 Lawmakers want to hear from parents, care providers, and educators about their experiences with early childhood programs and services like preschool, child care, and home visiting. You can tell your representatives about the positive impacts these types of programs and services have had on you and your children, or you can share your difficulties in accessing these programs. Plan your story in advance. You don’t need to memorize a speech for your meeting with legislators, but you should jot down some notes about what you want to say. The template below will help with this. You’re here because you care about early childhood. Let your legislators know how important these issues are to you personally by sharing your experiences. Remember what we’re asking for. End your story with a clear request to your legislators: Support state investments in proven early childhood programs and services to ensure every kid in Oregon gets the best start in life. My name is Susan Smith. I am a parent of two young children and live in Baker City. After my second baby was born, I had three home visits from a nurse. She helped me with feeding and the baby’s sleep routine and gave me information about play groups in my area that I could go to with both my kids. I wish I’d had home visiting when my first child was born. These services should be available to any parent of an infant who wants them. I hope you vote to invest in these and other services for young kids so that parents and kids in Oregon get the support they need. My name is Heather Sanchez. I live in Astoria and have a 4-year-old. My daughter loves her Head Start program and it has helped her to learn and connect with other kids. It also gives me information on how to be a better parent through volunteering and being in the classroom. Without Head Start, my family wouldn’t have been able to afford preschool. I’m so glad we found a spot in a class because I can see what a difference it makes. Please invest state money to make sure more kids can attend preschool and access other programs and services. My name is Suleiman Ahmed. I live in Portland and have worked in early childhood for 15 years teaching and managing a preschool classroom. I am still unable to adequately support my family and earn a wage that reflects the skills I have working with children. Early educators are severely underpaid, something that drives many skilled educators out of the profession and ultimately hurts young kids. If we want kids to succeed, we need to make sure they have access to high-quality care and education, provided by well-paid professionals. Parking: Sometimes parking is limited around the Capitol. Try to give yourself some time to park and walk to the Capitol. Parking in downtown Salem costs $1.50 per hour. More information about parking meters and payment types accepted is available here. Meeting room: We will be in 2 rooms, 162 and 167 G. They are on the first floor. If you enter through the front door and are in the rotunda, you will take a right and head West to the end of a long hallway. The information desk can give you directions. Food & Logistics: We will have all the materials you need, your final schedule, boxed lunches & snacks, beverages, a place to put down your coat and bag, and some activities for children in our meeting rooms. Meet at the state seal in the rotunda to attend one of these guided tours of the Capitol. We have scheduled meetings with more than 60 legislators. Each legislator will have a small group attending their meeting. The group will include a facilitator and constituents, and may include other partners. The Facilitator will start the meeting and ask everyone to introduce yourself. The Facilitator will provide a quick overview of why we are meeting with the legislators. Other meeting attendees will then share their stories. Then legislators will have a chance to ask any questions or make follow-up comments. Some will agree with us. Great! We have strengthened their support. Some won’t know about these issues. Great! We have helped educate them. Some will have concerns or be opposed. Fine! We have given them more information to consider and pushed them in the right direction. Some will have questions we can’t answer. No problem! Write them down, and we can follow up with them later. At the end, make sure to say thank you for their time. Someone from the team can write a thank you card. We will deliver it later. Someone from the team can fill out a “report back” form so we know what happened in the meeting and can follow up.